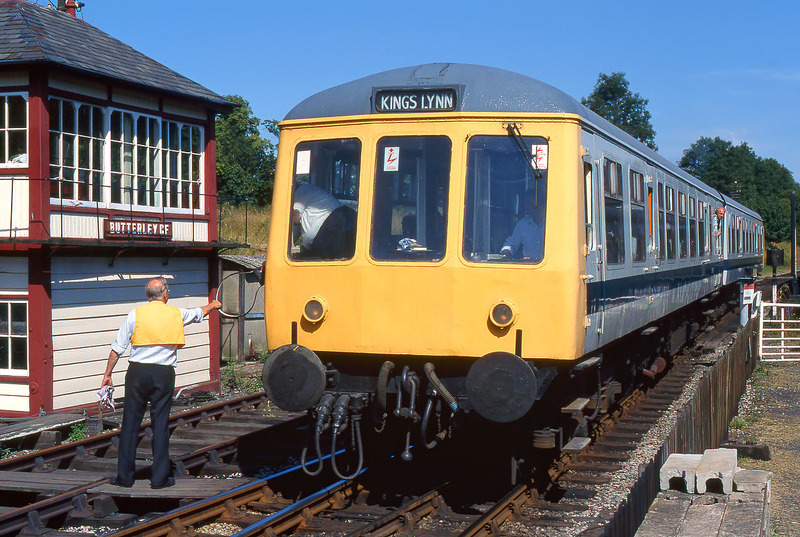 The driver of 50019 exchanges the token with the signalman at Butterley during the Midland Railway Centre's Diesel Gala on 23 July 1994. 50019 is coupled to 56006, both of which have reverted to their original numbers in preservation. The numbers having been changed in BR days as obviously 50019 could be confused with Class 50 Ramillies and 56006 with Class 56 Ferrybridge C Power Station! The Midland Railway Centre may have bold plans but I think Kings Lynn as a destination is a bit optimistic!